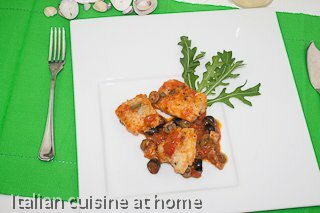 Notes to recipe: The italian traditional recipe cod livornese is made using the cooking technique alla livornese, giving the food a strong taste. 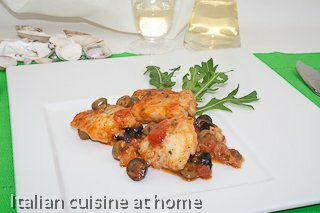 It is a useful recipe as it can be made either using fresh or frozen cod. The sauce can also be used for a spaghetti sauce.